This M2 canceled news Only posted on our website. Now, Anna University sends official notification regards M2 Canceled. Anna University postponed MA6251 Mathematics-2 exams to 12th December 2018. Check Official Notification on this image. 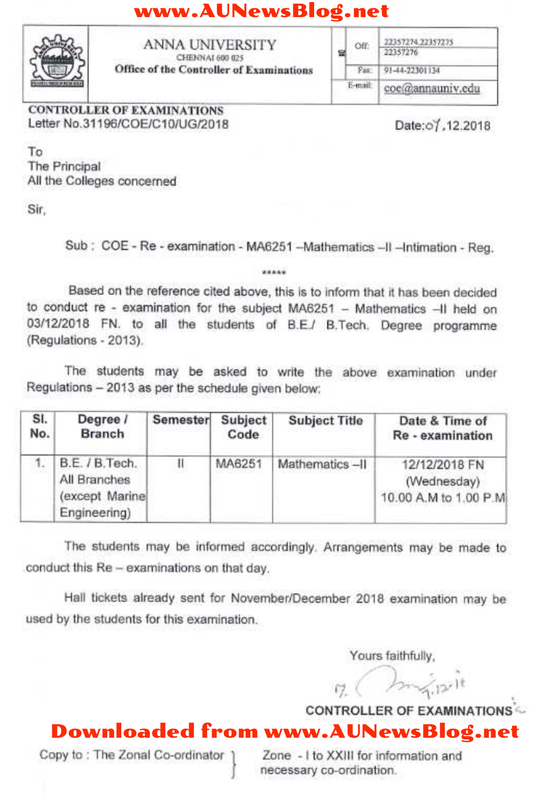 Ithu exam eluthunavunga mattum tha re exam elutha mudiduma.ila absent ana students um eluthala ma? i don't know this matter.i was missed m2. i am passed out student,how can i know ,the exam will be re-conduct. i was already wrote m2.in 03-12-2018.but i don't know about re-exam. this is irritate all the passed out students,the message did not convey passed out students.